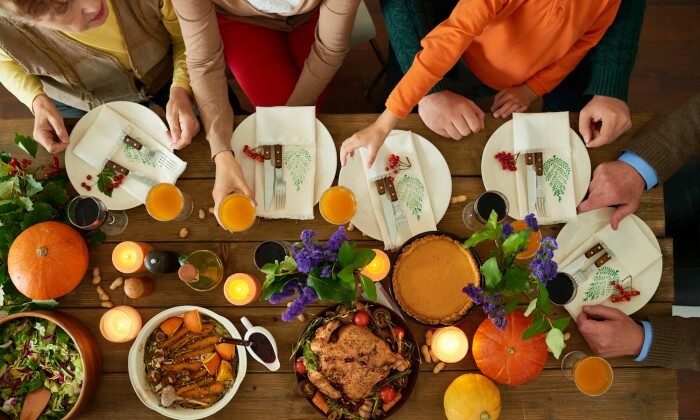 Though Thanksgiving is an American holiday, giving thanks this time of year is a worldwide tradition. Being thankful for our family, friends, job and home is a way to maintain gratitude and respect for our lives and the lives of those around us, a mentality that transcends cultures and religions. It is well known in the medical profession that those who consistently express gratitude have better mental health fitness and a more profound sense of purpose and meaning in life. Studies, including one by researchers in the Department of Psychology at UC-Davis published in the Journal of Personality and Social Psychology in 2003, have also shown that being grateful can result in better sleep hygiene, more exercise and fewer health issues. An interesting study done by John P. Van Dusen, Mojisola F. Tiamiyu, Todd B. Kashdan and Jon D. Elhai tested the relationship of gratitude to feelings of depression in Post Traumatic Stress Disorder (PTSD). In the study, 202 undergraduate students in psychology courses screened positive for PTSD, a disorder that includes a constellation of symptoms, including depressed mood, paranoia, increased arousal and flashbacks. The study found that gratitude has a stronger inverse (opposite) relationship with depressed mood when compared to the other symptoms of PTSD. This suggests that gratitude interventions can help target depressive symptoms in the future, and most importantly, those who are generally more grateful may be less likely to feel depressed. On another note, the idea of being thankful reinforces a positive way of thinking. Those who count their blessings for the things they do have in life will live through a daily lens of gratefulness; thinking more about the positives can maintain serotonin levels (the “happy” hormone) and therefore one’s mood. Additionally, the more people think about these positives, the less likely they are to think about the negatives, and the less likely they will be to perpetuate negative core beliefs. Each person in this world has a unique story; this Thanksgiving Day can unite us all to be grateful for the people, places and things we look forward to into the New Year.